The old XC-77 B&W video assist electronics is replaced by a new set which provides the color flickerfree video image in PAL or NTSC video formats. The conversion to a flickerfree color video assist is designed to produce a flickerfree monitor image for camera speeds above 10 fps. We offer two versions of the conversion: version 1 - timecode can be displayed on the monitor screen and version 2- without timecode. Timecode can be displayed on a monitor screen (version 1). Power on/off switch (2 position): same as in the B&W unit. - When set to the lower position, flickerfree mode FF is activated and the green LED is lit. This mode is designed to produce a flickerfree image for camera speeds above 10fps. - NTSC - When set to the upper position, flickerfree mode FF30 is activated and the green LED is lit. This mode provides a 100% flickerfree image when operating at a camera speed of 29.97 fps or 30 fps. In this mode, flickering is reduced by 70% for camera speeds other than 29.97 fps and 30 fps. Flickerfree modes FF , FF30 (NTSC) and FF24/25 (PAL) will only be active when the camera is running. Once the camera is stopped, normal mode will resume. - Lower: timecode is displayed at the bottom of the monitor screen. - Middle: timecode is not displayed on the monitor screen. - Upper: timecode is displayed at the top of the monitor screen. In order to display timecode, the timecode has to be initialized in the Aaton camera (e.g. by Origin C ). The timecode is displayed on the monitor screen in the following format: P followed by a 6 digit production number, date: month/day/year (or day/month/year in the PAL version), time: hours:minutes:seconds. If the camera is running, the letter R will be displayed after the production number. - Lower: gain control is set to 0dB. 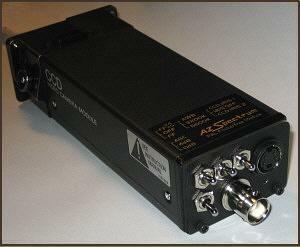 - Middle: gain control is set to 4dB. - Upper: auto gain control (AGC) is ON. 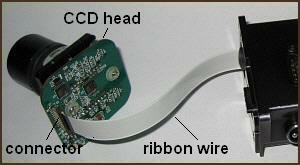 - Lower: CCD iris is OFF. Use this setting under low light conditions. - Middle: CCD iris 1 is ON. Use this setting under moderate light conditions. 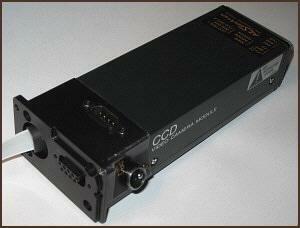 - Upper: CCD iris 2 is ON. Use this setting under intense light conditions (outdoors on a sunny day).